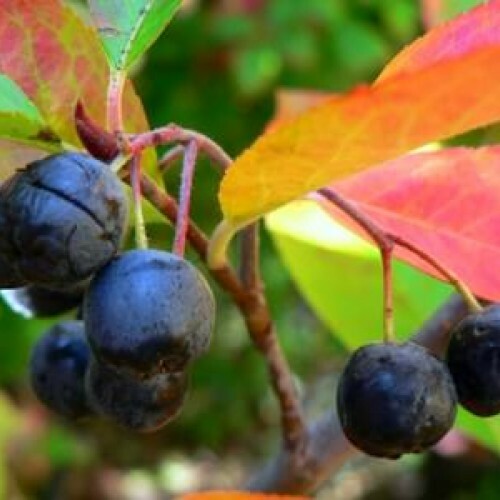 'McKenzie' black chokeberry was a selection found to attract bees and butterflies and is a heavy fruit producer. Fruit is smaller that Nero but full clusters are produced along its branches. It is adaptable to a variety of climates and soil types. 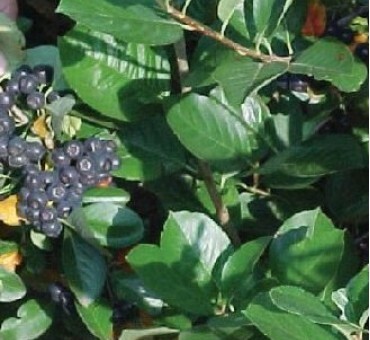 Foliage is a glossy green that turns orange and red in the fall. 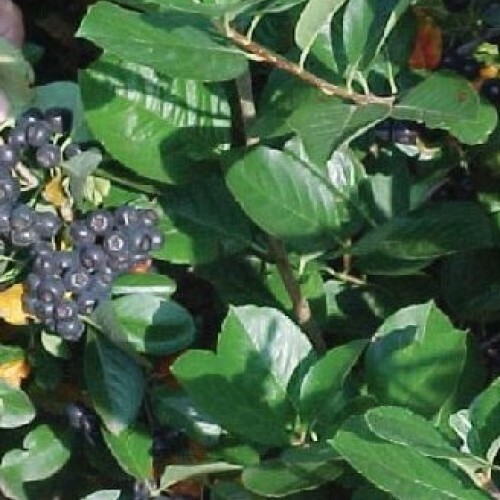 Combined with the deep purple berries, this deciduous shrub has many ornamental qualities. The berries can also be juiced or canned. The name 'McKenzie' was chosen to acknowledge the initial evaluation planting site in North Dakota where the original plants were established in 1976 by the USDA. Prefers full sun but will tolerate some shade and still fruit. Prefers slightly acidic soil. Moisture laden soil is good for this species. Anyone can grow and fruit this. What to do with the fruit is the challenge!